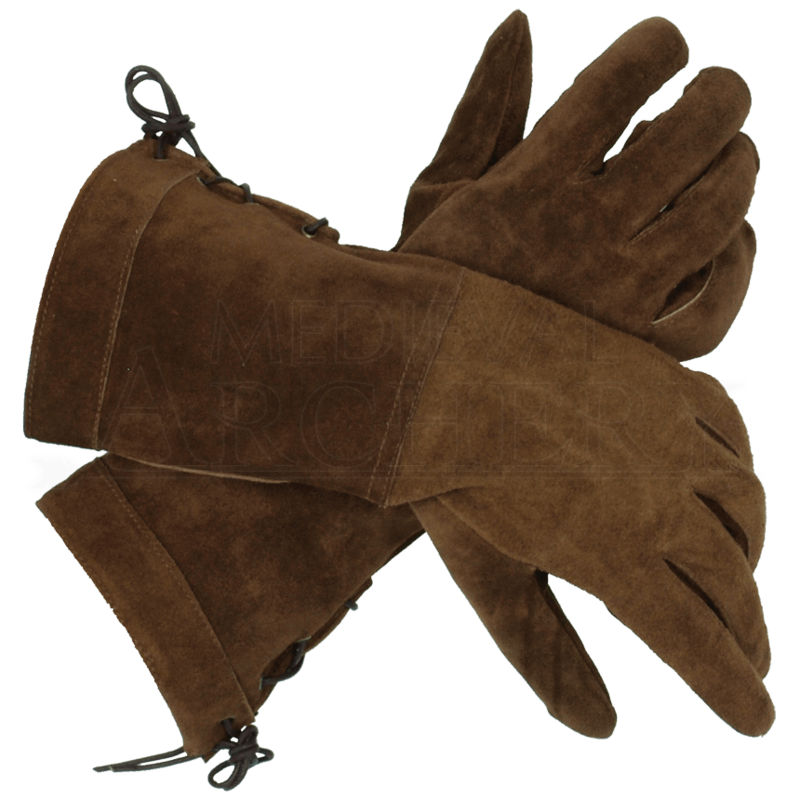 These gauntlets are made from genuine suede leather and are very comfortable and soft. Whether you do real sword reenacting or LARPing, if you want to avoid losing grip of your weapon due to sweaty hands, you will need a good pair of gloves. These Suede Swordsman Gloves are available in black or Brown suede. I bought these gloves for my teenage son for Halloween. I received them ahead of the shipping schedule. The gloves are really good quality and the fit was prefect. He could actually use them as everyday glove. I had never ordered from here before. I ordered from their toll free number because I had some questions. The Rep. was very helpful and answered all my questions. I would definitely order from here again. Awesome price, just as describe, perfect sizing, great look to finish off my renfaire outfits. Worked perfectly for challenging an adversary to a duel with a hardy "slap"
Overall these are a fine pair of gloves. the fingers are a bit long but, I have come to expect that from all gloves, sense I have short fingers. The order was filled very quickly and , I received them within a week. Finger are long, I wear men's medium gloves. Otherwise great gloves. They really pull together an outfit. I got the brown ones for when Im playing a good guys and the black ones for when im not. Very nice. As said before the fingers are unnecessarily long but I fixed it in minutes with a knife and some needle and thread. They are otherwise comfortable, look great and improve your grip when that matters.